Custom order continued and 200th post !! WHOOO HOOOO, this is my 200th post here on my blog, wow !!! I had already posted it when word post sent me a message to remind me of this big accomplishment !! We have been having so much fun with our custom order, my customer and I !! 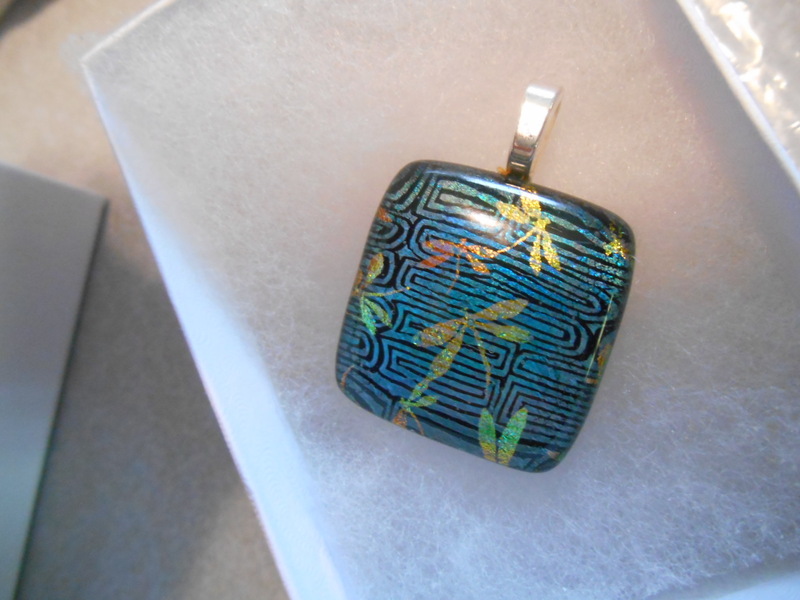 She is coming up with the most amazing ideas adn then has been ordering stunning pendants and beads and having them sent to me so I can create her visions !! Here are some new goodies she has ordered, these got here today !! She loves dragonflies and I have learned to really love them too !! I have never really worked with them before, and certainlly never realized the amazing artists there are out there !! It has been fun to see what others create, other than just working on my own creations. Some of these artists I will be ordering from myself . 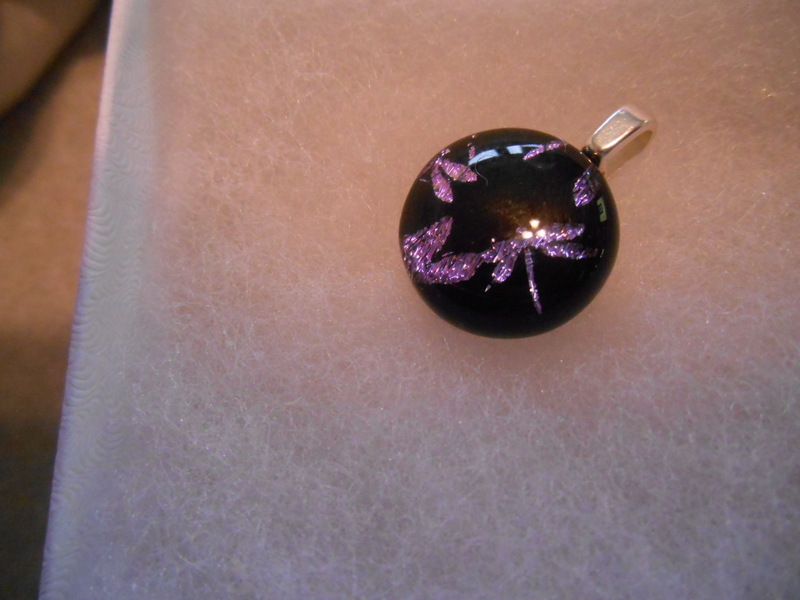 I am very impressed with the glass artist, I have her card and her web address is http://www.SassyGlass.com. I will be checking it out for sure, I am so excited to work with these two new pieces !! One now, one when we get to our blue projects ! 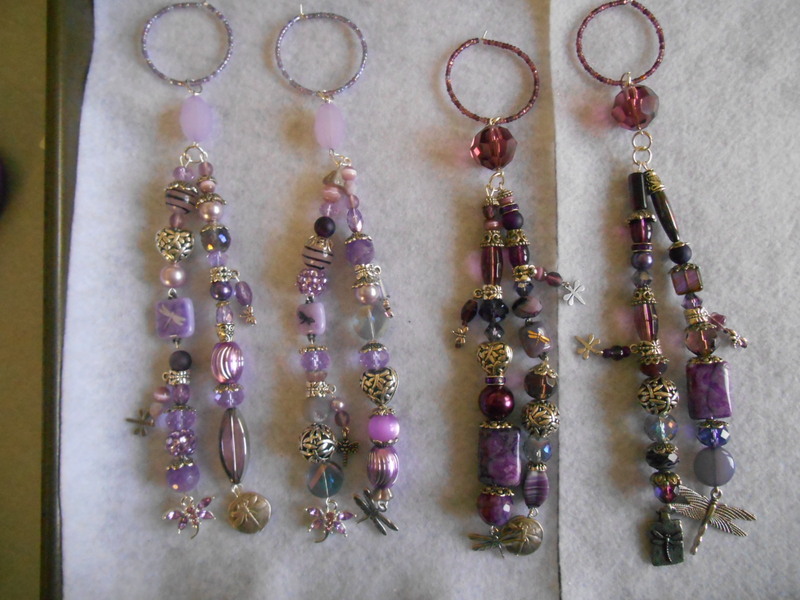 I finished up the second set of window curtain tassels my customer designed. I love them the light beads just sparkle and look so pretty !! Now we are working on an ombre set. I was having trouble with the center, dark and light were easy, but the in between were holding me up. I am going to see what she comes up with after she looks at all our new beads from the bead market, and then lets me know what she wants to try. 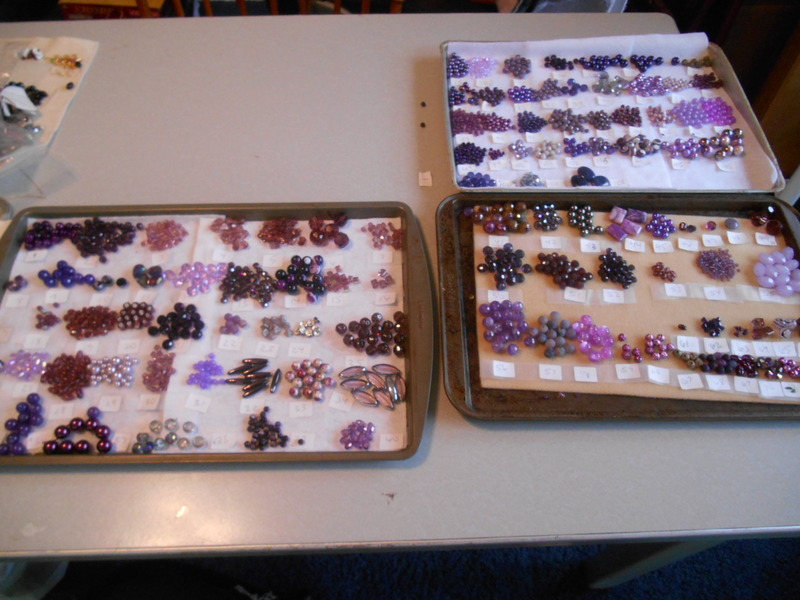 I lay out all the beads we are working on, and number each selection. 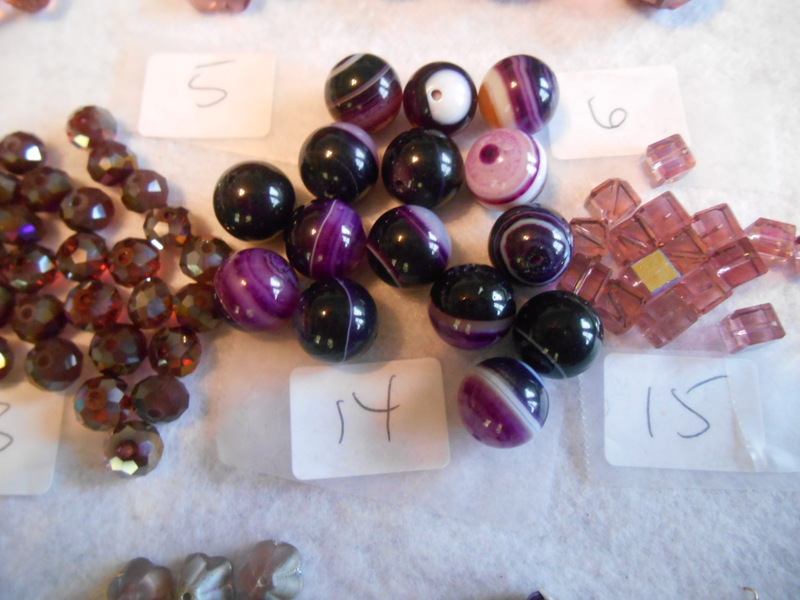 here is a few beads close up, we have 111 numbered on the three trays. She has me pull a pool of beads she wants me to use on each project , letting me know any items she wants used for sure, and any of the special charms and beads she has purchased and then if there is any special instructions she lets me know in the same email. 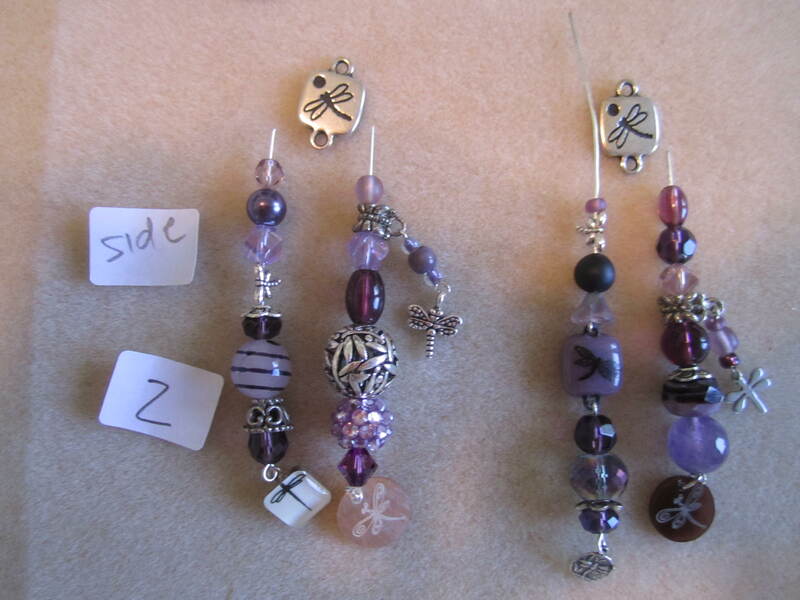 Then, using the beads she has requested, I create each dangle and then send her pictures before I loop them !! 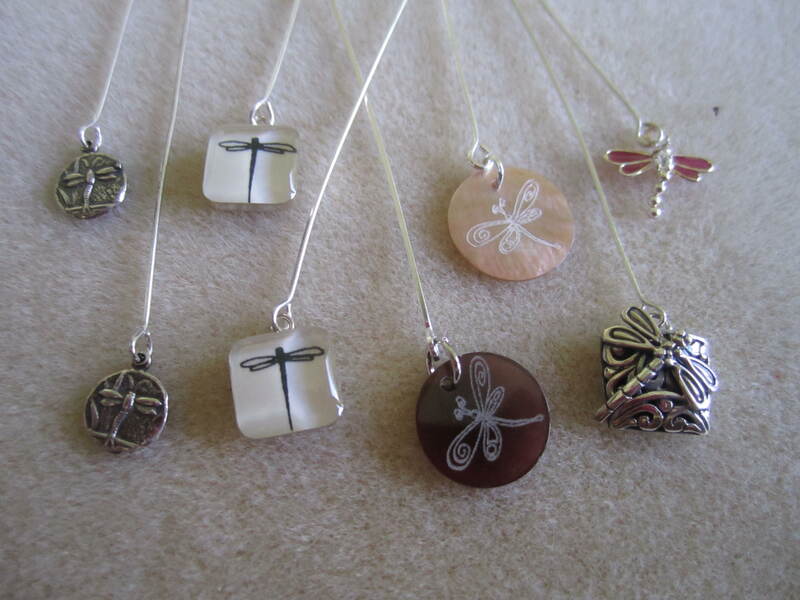 many times I will hang the pendants or charms on the bottom , and then I can start figuring out the dangles for each set. once she is happy, she will tell me to loop them, I will not do it until she says the magic words, lol !! 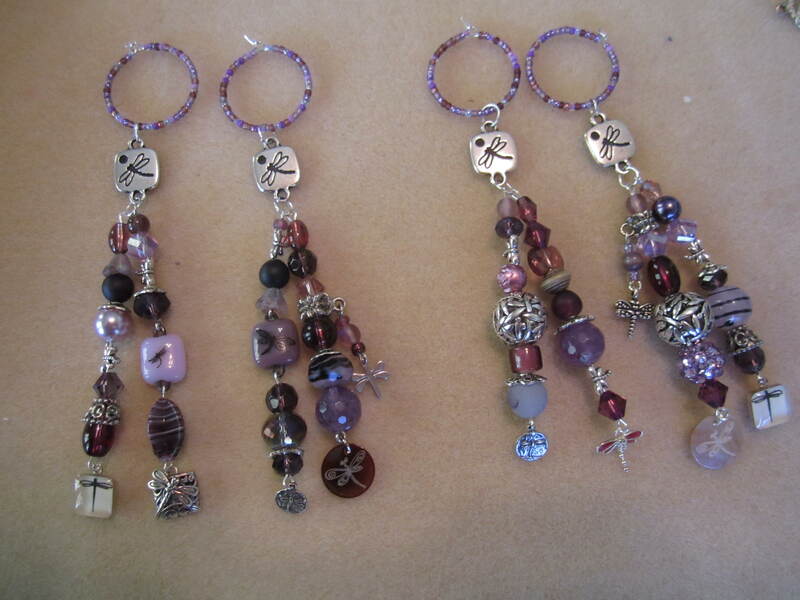 Once I loop them I attach jump rings top and bottom to the connectors she chose, sometimes making a connector out of beads, like I did below, and then hook the charms onto the jump ring on the bottom. Then , using seed beads, I fill a loop with beads, and then bend it back up to keep the beads on, then I hook the top jump ring on and then are done !!! We still have a lot of purple sets to do and then we will get to start on the blue ones !! 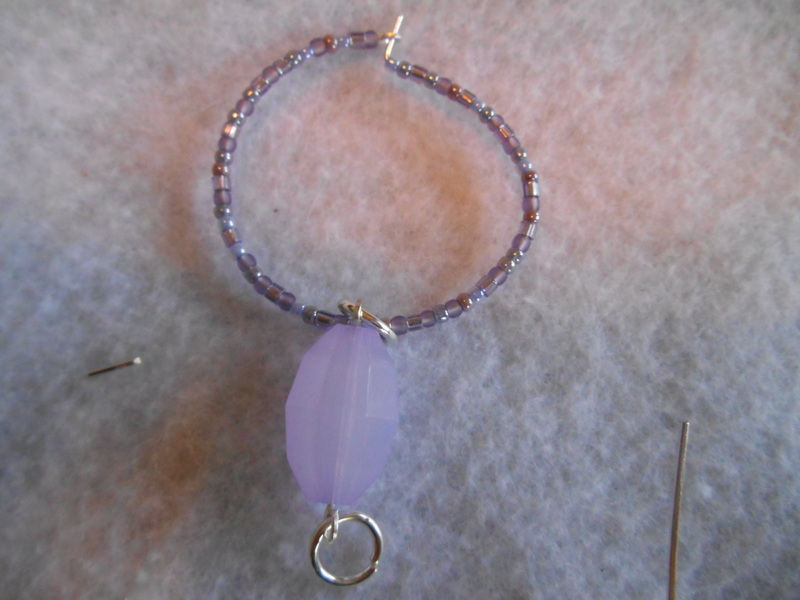 I am having so much fun, making some of the prettiest things I have ever made. She has pretty amazing taste and has oreered ands ent me so many amazing things. I have learned a lot from these projects and look forward to taking many of these ideas into future projects !!! I feel so blessed to have met this wonderful and creative woman I am working with , she is much more creative then she will give herself credit for and has come up with ideas I have never thought of in my entire life and they are so pretty !! 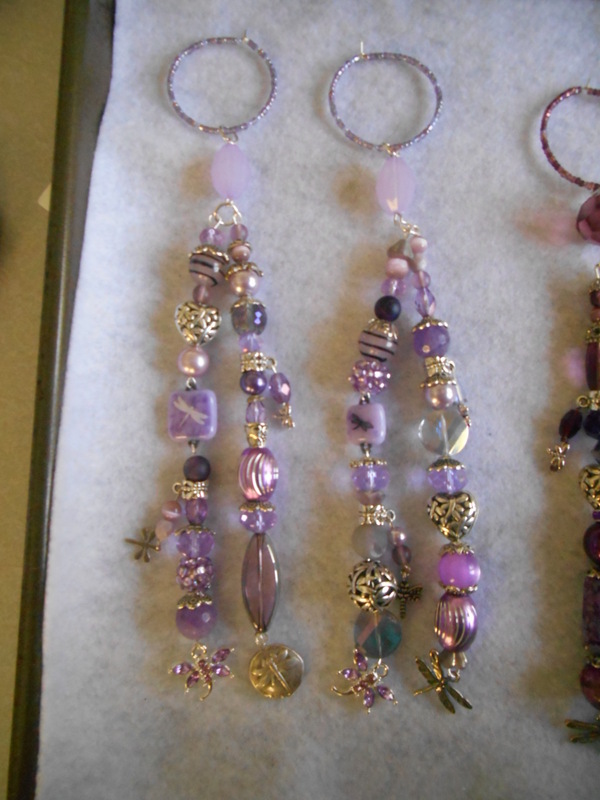 I will be doing a lot of decorating with bead work in the future, I am looking at beads in a a whole new way , thanks to a creative customer and a whole lot of pretty beads and charms !! Now I cannot wait for my husband to get his stain glass studio set up, I plan to work in some beaded dangles and stain glass together as soon as we can get him set up in here !!! I have so many ideas now, very exciting !!! Thanks so much for stopping by !! I always appreciate it !!! What a lovely customer you have. So nice to work with someone with a good eye for color and design. 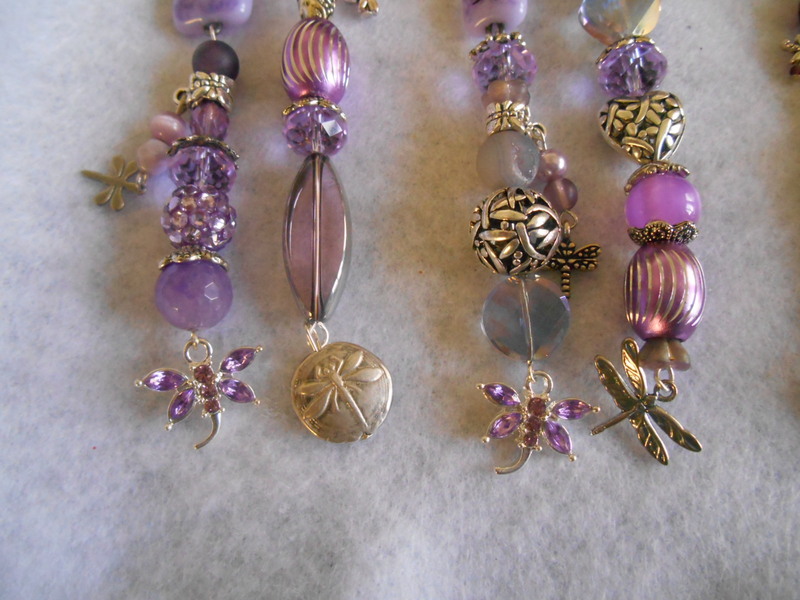 Also love those glass beads, I will also check that vendor out. Beautiful work! She is a lot of fun to work with and she has taught me a lot with her ideas, I am so thrilled with what we have accomplished so far ! !